I found this nifty chart as part of an interesting piece on Vox. For more info read the whole article, which also includes a graph of women’s skirt widths. This entry was posted on April 2, 2015 by Phoebe Darqueling. 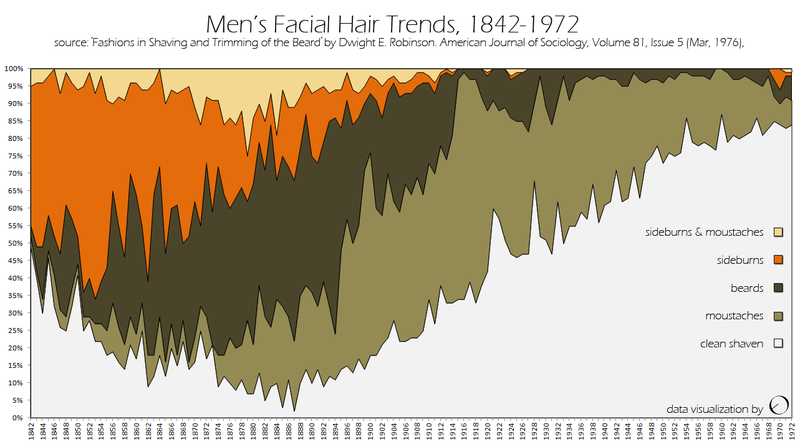 It was filed under History and was tagged with beard, chart, facial hair, graph, mustache, steam punk, Steampunk.